When choosing between buying or leasing your next car, you will have a lot to consider. Both options offer a lot of advantages to you as a vehicle owner. Leasing, however, does have the potential to be more beneficial to many shoppers. With leasing, you may find that you have a lower monthly payment, including service plan, and often the term of ownership runs the same as the vehicles manufacturers warranty. You may be able to take advantage of a faster trade-in program once your lease reaches a certain point of its term. 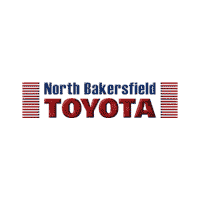 If you are seemingly unsure about if leasing is right for you, then why not come down to the dealership at North Bakersfield Toyota, in Bakersfield, CA, and speak with one of our associates who can explain everything to you in depth. You may find that leasing is a faster and easier way to get into that new car that you are thinking about.